These sets are similar to the coins that circulate but are struck on specially produced, highly polished flans (also known as blanks, or planchets). The Central Bank of Ireland has maintained their conservative approach to the issue of proof sets and, to date, only four sets have been made available for collectors to purchase. 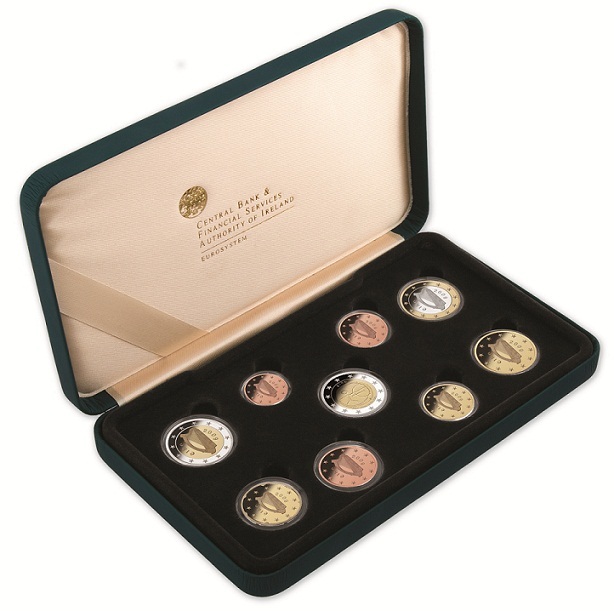 The first proof set, in 2006, contained 8 coins in a long format presentation case. Some of these sets are still available to purchase from The Central Bank of Ireland – see links below. Proof set of 8 coins in display capsules and black leather display case, with black velvet lining. Black Central Bank presentation box and numbered Central Bank certificate of authenticity. 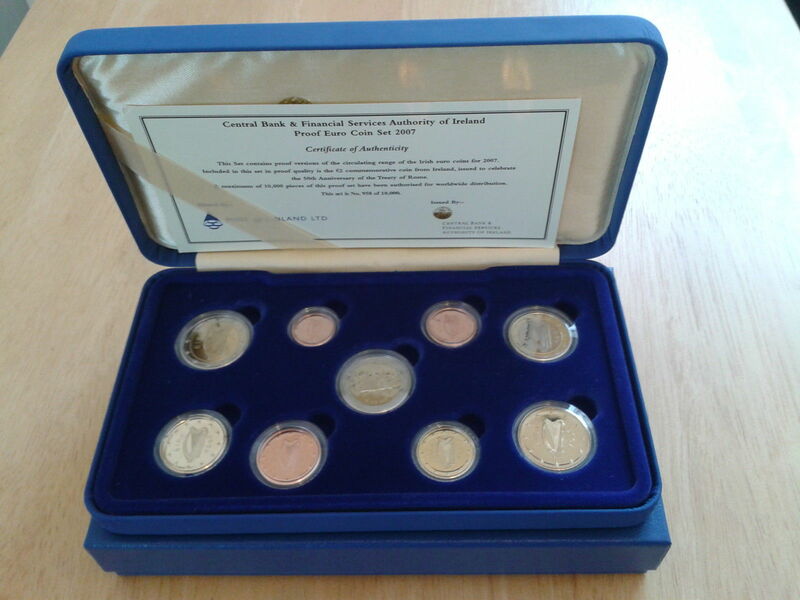 Proof set of 9 coins in display capsules and blue leather display case, with dark blue velvet lining. Blue Central Bank presentation box and numbered Central Bank certificate of authenticity. Proof set of 9 coins in display capsules and dark green leather display case, with black velvet lining. Blue Central Bank presentation box and numbered Central Bank certificate of authenticity. This item is still available from The Central Bank of Ireland @ €80 + P&P. 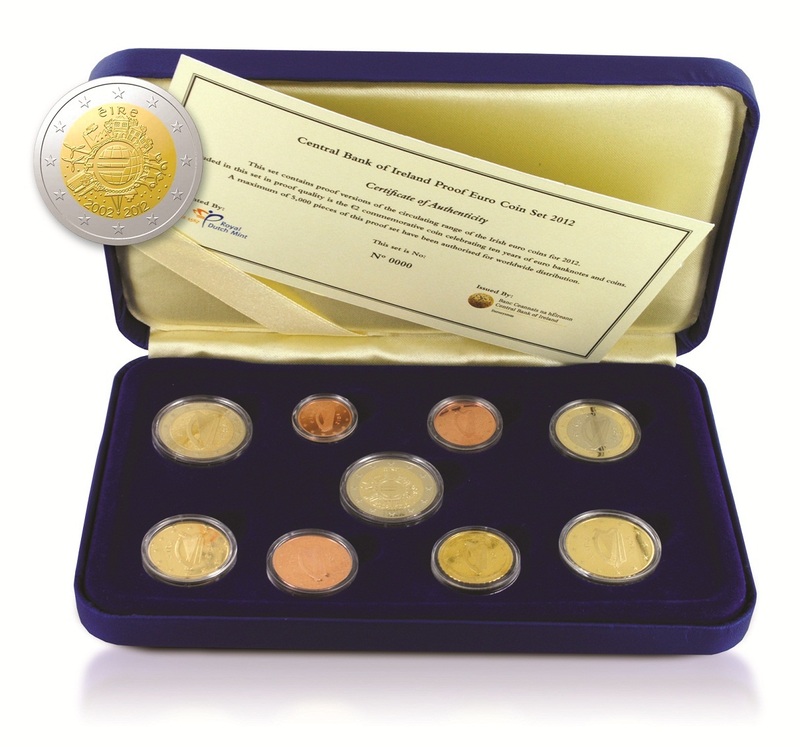 Proof set of 9 coins in display capsules and blue leather display case, with blue velvet lining. Blue Central Bank presentation box and numbered Central Bank certificate of authenticity. 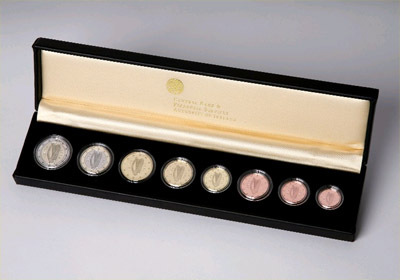 Proof set of 9 coins in display capsules and green leather display case, with navy velvet lining. Green Central Bank presentation box and numbered Central Bank certificate of authenticity. Proof set of 9 coins in display capsules and green leather display case, with black velvet lining. Dark green Central Bank presentation box and numbered Central Bank certificate of authenticity.